Good News! Microsoft has been released ASP.NET MVC 6 on 12 May 2014 at TechEd North America, as part of ASP.NET vNext, the MVC, Web API, and Web Pages frameworks will be merged into one framework. Microsoft feels that System.Web needs to be removed because it is actually quite expensive. A typical HttpContext object graph can consume 30.000 of memory per request. When working with small JSON-style requests this represents a disproportionately high cost. With ASP.NET MVC 6 new design, the pre-request overhead drops to roughly 2000. 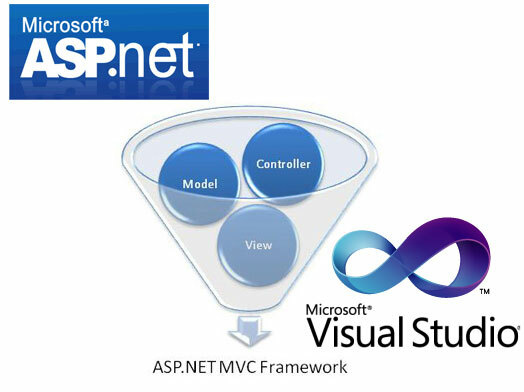 The new ASP.NET MVC 6 assumes you are familiar with either MVC 5 or Web API 2. 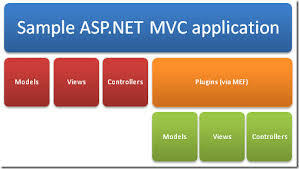 If not, here is some terminology that is used in ASP.NET MVC. The new framework removes a lot of overlap between the existing MVC and Web API frameworks. It uses a common set of abstractions for routing, action selection, filters, model binding, and so on. You can use the framework to create both UI (HTML) and web APIs. A controller handles HTTP requests and executes application logic. Actions are methods on a controller that get invoked to handle HTTP requests. The return value from an action is used to construct the HTTP response. Razor syntax is a simple programming syntax for embedding server-based code in a web page. Routing is the mechanism that selects which action to invoke for a particular HTTP request, usually based on the URL path and the HTTP verb. A view is a component that renders HTML. Controllers can use views when the HTTP response contains HTML. ASP.NET vNext includes new cloud-optimized versions of MVC, Web API, Web Pages, SignalR, and Entity Framework. The welcome page is not too interesting, so lets’s enable the app to serve static files. Mono is a Supported Platform. In the past the support story for Mono was essentially “we hope it runs, but if it doesn’t then you need to talk to Xamarin”. Now Microsoft is billing Mono as the official cross-platform CLR for ASP.NET vNext. ASP.NET vNext support true side-by-side deployment. If your application is using cloud-optimized subset of ASP.NET vNext, you can deploy all of your dependencies including the .NET vNext (cloud optimized) by uploading bin to hosting environment. Cross Platform Development. Not only is Microsoft planning for cross-platform deployment, they are also enabling cross-platform development. Today, we are going to discuss about create RSS feed on ASP.NET MVC 6 Hosting. The RSS classes that we will be describing are available in all types of ASP.NET applications, not only the web-based onces. But we think displaying a blog item on your website is great and relatively simple example of consuming RSS feeds in ASP.NET. There actually is built-in RSS support in ASP.NET. We have not been aware of that support for some time and occasionally used the third-party library RSS.NET. It turns out that we do not need a separate library any longer. Here is an example MVC controller that refers to the SyndicationFeed and SyndicationItem classes in its Index action method. The Index method will reads a feed of the site that you are reading right now. It puts the first item (which we assume represents the last post that has been published) in the ViewBag. Normally we use model classes to refer to data within my MVC views, but we want to keep things simple. We have added code to show the title and summary of the last post, and a link to the full post. Using the SyndicationFeed and SyndicationItem classes it becomes rather easy to create your own web-based (or Windows-based, if you prefer) RSS reader. HostForLIFE.eu, an European Recommended Windows and ASP.NET Spotlight Hosting Partner in Europe, Today has announced the availability of newest hosting plans that are optimized for the latest update of the Microsoft ASP.NET MVC 5.2 technology. HostForLIFE.eu - an affordable , high uptime, excellent customer service, quality and also reliable hosting provider in advanced Windows and ASP NET technology. HostForLIFE.eu proudly announces the availability of the ASP.NET MVC 5.2 hosting in our entire servers environment. ASP.NET MVC 5.2 hosting includes great new features for Web API OData v4 as summarized below but has bug fixes and minor features that bring in a lot more goodness to MVC, Web API, and Web Pages. Only paying €1.29/month, The customers can get professional and high skilled support ASP NET MVC 5 .2 with HostForLIFE.eu. Really, there are many benefits when you host your site with them. We can fully guarantee you that HostForLIFE.eu will provide the best quality hosting services. In ASP.NET MVC 5.2, Customizing IDirectRouteProvider will be more easy by extending our default implementation, DefaultDirectRouteProvider. This class provides separate overridable virtual methods to change the logic for discovering attributes, creating route entries, and discovering route prefix and area prefix. HostForLIFE.eu claims to be the fastest growing ASP.NET MVC Hosting and Windows Hosting service provider in Europe continet. The company has its servers situated in Amsterdam and it offers the latest servers working on Dual Xeon Processor, fastest connection line of 1000 Mbps, and minimum 8 GB RAM. All these new servers are laced with the most recent versions of Windows Server 2012, ASP.NET 4.5.2 , Silverlight 5, Visual Studio Lightswitch, SQL Server 2012 and the lates SQL Server 2014, the latest ASP.NET MVC 5.2 & Previous and support various WebMatrix Applications. ASP.NET MVC 5 offer many great new features. In today post, I will share one of the new ASP.NET MVC 5 feature which is called Authentication Filters and ASP.NET identity Management. ASP.NET MVC does not provide any built-in authentication filter(s). However it provides you with the framework, so you can easily create your own custom authentication filters. In previous ASP.NET MVC 4, maybe you use AuthorizationFilters. New authentication filters run prior to authorization filters. It is also worth noting that these filters are the very first filters to run before any other filters get executed. When applied to an entire controller class or a particular controller action, Authentication filters are applied prior to any Authorization filters. Let's see an Authentication filter in practice. Create a new C# ASP .NET Web Application, see Figure below. Then, select ASP.NET project type. As you can see, it isn't overly complex to implement a custom authentication filter within ASP.NET MVC 5.